In the US, CNMs are advanced-practice registered nurses with specialized education and training in both nursing and midwifery. They usually hold a master's degree in nursing and are extensively licensed and registered through the state's various health-related organizations. CNMs are specialists in normal pregnancy, birth and postpartum, newborns, and women's health from adolescence through menopause. CNMs are primary care providers for healthy women and new babies. CNMs can also provide care to higher-risk women in collaboration with a physician. Insurance companies almost always cover CNM visits in the same way they cover doctor visits, and a CNM can be your primary care provider for all kinds of things, not just maternity. CNMs can do almost all the things a medical doctor can do, including prescribing medications and treatments, testing for and diagnosing some diseases and disorders, giving medical advice, and providing referrals to other providers when needed. Most importantly for a birthing center, they support and encourage laboring women, and catch babies! A birth center or birthing center is a healthcare facility staffed by midwives, nurse-midwives, obstetricians, nurses and/or doulas for the purpose of supporting laboring women to birth their babies. Midwives care for the laboring woman and her baby, before, during and after birth at the birth center. They have established a relationship with the woman before labor begins by seeing her for prenatal visits. Midwives also usually provide postpartum care, the first month of newborn care, breastfeeding support, family planning services and continuing gynecology care for the mom. Birthing centers are often more home-like than hospital maternity wards. They offer many of the comforts of home: the mom can eat and drink freely; walk around in a private and peaceful setting; take a bath; play music; rest in a queen-size bed with her partner; and have guests at any hour, including children. They are a nice middle ground between hospital birth and home birth. The philosophy and environment support the normalcy of birth, yet there are medical services and devices close at hand. There are other amenities such as birthing tubs, large showers, birth balls, birth swings, birth stools, and pain-relief medications such as nitrous oxide and Fentanyl (but not epidurals). The mom is encouraged to take an active role in birthing her baby by following her instincts and trusting her body and her baby. There is strong support for natural birth, but if the mom changes her mind, the midwives will help her move in a new direction. If things go wrong, the midwives transfer the mom and/or baby to the hospital. At the hospital, the mother's or baby's care is transferred to a staff physician, and the midwife often stays in a supportive, non-medical role for some period of time. Unlike hospitals, birthing centers don't usually "admit" moms. Labor and birth are outpatient procedures, and as such, mom and baby are released as soon as they seem ready and their midwife has completed all of their checkups, usually within 6-10 hours of birth. One of our favorite books. One hundred years ago, curandera-parteras (traditional Hispanic midwives) were the primary maternity caregivers in northern New Mexico. In the early 20th century, there were more than 800 curandera-parteras practicing throughout the state. Most of them were working in rural, isolated, Hispanic villages in northern New Mexico. Because of limited available physicians, poor road conditions, cultural preference, and poverty, the services of the curandera-parteras were vital to the mothers and babies of New Mexico. 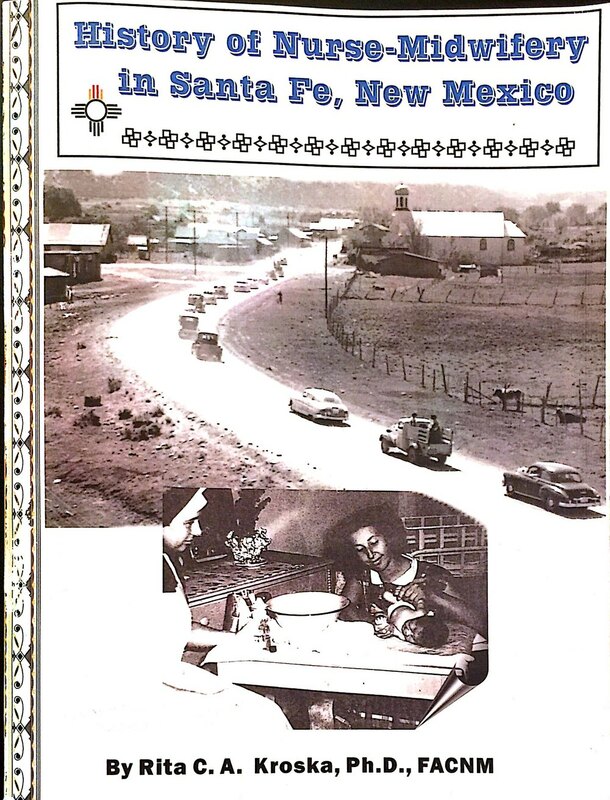 In the 1930s, the New Mexico Department of Health began a valuable relationship with the curandera-parteras through the Midwife Consultant Program to address the infant mortality rate that was twice the national average. The high rates were primarily due to lack of education for maternity providers, malnutrition and poor sanitation in a mostly rural state. The Catholic Maternity Institute (CMI) in Santa Fe opened in 1944 and serves as the prime example of the private sector response to New Mexico’s soaring maternal and infant mortality rates. CMI was opened by two missionary nuns, Sister M. Helen and Sister M. Theophane, who were graduate nurse-midwives from the Lobenstine Midwifery School in New York City. CMI provided weekly prenatal clinics and birth center or home deliveries to poor families in the area and remained open until 1969. “La Casita” at CMI was the first birth center in the United States, and its presence opened the door for families to exercise this option. Under the leadership of the CMI midwives, the American College of Nurse-Midwives (the national professional organization for nurse midwives) was incorporated in New Mexico in 1955. Midwifery has been a part of New Mexican cultural heritage for many generations and is very active today. The University of New Mexico is one of the five best-certified nurse midwifery education programs in the United States. Today, midwives in New Mexico attend 38.2% of all vaginal births (hospital, birth center and at home) in the state while the national average is about 10%. Information about the accrediting process and what it means to be an accredited center. The professional organization for birth centers. The professional organization for certified nurse-midwives. An organization of midwives and advocates for midwifery.